We’re actually quite far away from the railway embankment here, but I just wanted to close this series off with a couple of photos I took on my way home from there. 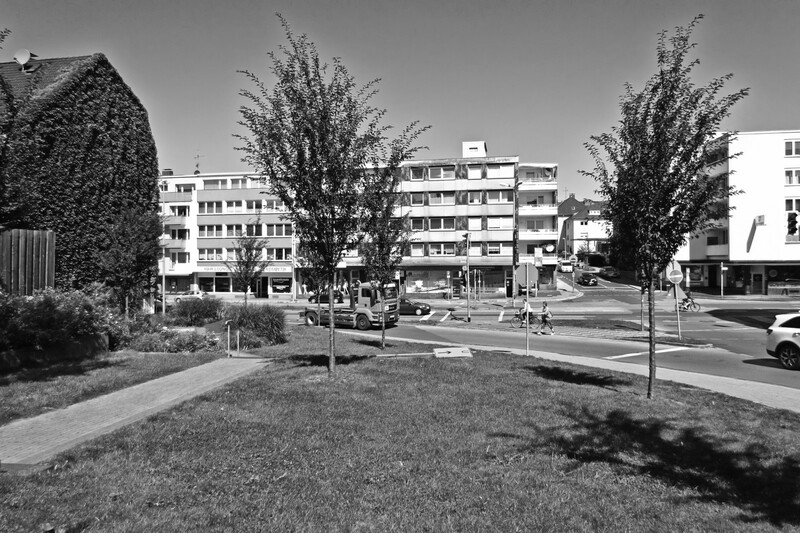 This is a little park at the corner of Mülheim’s Kämpchenstrasse and Dickswall – it was completely dug up and redone three years ago because there were some sewer works necessary at that corner. Unfortunately that meant a couple of big trees were felled and the new ones planted are still tiny in comparison. I’m not sure since when this green corner has existed, but I’ve seen aerial photos from 1969 that show there were still houses there at this time and I can remember it from my childhood, so it must have been sometime in the 1970s.